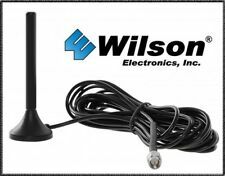 Wilson Antenna, can't find a part#. Un Amplificateur Répéteur Booster de Signal GSM 900MHz 60dB. Un répéteur de signal GSM est idéal pour la maison, maison, bureau. It is also a high-performance alternative to RG-8 and 9913. ThisWHITE high qualityUSA MADE AX400FRW™low loss 400 series cable is100 feet long withN Male Connectors on both ends. It is ideal for use with 50 Ohm Cellular Antennas and Boosters, WiFi Antennas, HAM Radio, 2-Way Radio and more. Manufactured by NEC. I used the device for about a year but have moved to another network and no longer require the unit. Andrew CellMax™ Cellmax-D-25 Directional In building 7dbi Antenna, 806–960 MHz and 1710–2200 MHz. Andrew CellMax-D-25 Antenna. SureCall SC-248W Indoor Panel Antennas. SureCall SC-WS-2 2-way Full Band Splitters. Frequency 3G,GSM. Connector N TYPE SOCKET. Three columns with images. We have many more parts that may be suitable/required for this item. Be assured you will get genuine, high quality parts. Internal ref: 380. Condition is New. Still in shrink wrap, can include original receipt for warranty. Just trying to get as close to what he paid for it. Good condition, just a few minor scrapes. Includes booster, antenna, power adapter. Includes approx 15 ft RG6 coax. Modem WLAN ZTE R218 kompatibel mit allen Providern. Torsten Maijohann Auf dem Trüssel 16 49477 Ibbenbüren Batterien und Akkus, die Schadstoffe enthalten, sind mit dem Symbol einer durchgekreuzten Mülltonne deutlich erkennbar gekennzeichnet. Gain 5dBi / 8dBi. This 50 ohm panel antenna is easy to install flush against a wall using the included mounting hardware. It is typically used with 50 Ohm low loss coaxial cable. 2G, 3G, 4G and LTE Cellular Applications. GSM/UMTS/HSDPA/HSUPA Wide Area Coverage - With 5 degree wide vertical beam width and full 360 degree horizontal for long range reception Pole or Wall Mountable - The antenna is supplied with a mounting kit to allow you to install to a wall or a Pole, with fully adjustable mount for easy installation. 55dB GSM cellular phone signal amplifier. - Downlink GSM 925-960. Gain (dB) GSM Up link: 55. Increspatura banda passante GSM: 4dB. Rifiuto della banda di guardia: GSM (BW-60dB) = <42 MHz (BW-70dB) = <45 MHz. It features an integral N Female connector. It can be used outdoors as a building antenna for improved access to cell tower signals for indoor amplifiers and boosters. It can also be used in warehouses or other indoor spaces to provide enhanced coverage to selected areas. Antenna Triband A Pannello Adatta Per Installazione A Muro Idieale Per Tutti I Kit Amplificatore Di Segnale Gsm, Umts, Dual Band E Trial Band Antenna Settoriale Da 90° Di Irradiazione (90° X 55° - Hv) Ad Alto Guadagno 8 Dbi Utilizzabile Sia Come Antenna Interna Che Come Esterna Ideale Per Impianti Con Bassa Copertura Di Segnale Anche All'esterno Della Struttura O Da Utilizzare Internamente Qualora Non Sia Possibile Installare Una Omnidirezionale Al Centro Degli Ambienti Da Irradiare. Grazie Al Grande Guadagno Questa Antenna Può Essere Installata Su Un Muro Perimetrale Ed Irradiare 90° Di Fronte A Se E Riesce A Superare Anche Ostacoli/pareti Non Esageratamente Spesse. Dotata Di Staffaggio Per Installazione A Muro (a Palo Opzionale) Connettore N...Clicca Sotto per Descrizione Completa. It is also a high-performance alternative to RG-8 and 9913. ThisWHITE high qualityUSA MADE AX400FRW™low loss 400 series cable is75 feet long withN Male Connectors on both ends. It is ideal for use with 50 Ohm Cellular Antennas and Boosters, WiFi Antennas, HAM Radio, 2-Way Radio and more. Copertura fino a 1000Mq liberi.